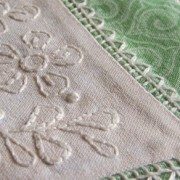 The central panel is embroidered, then appliqued to the background fabric. 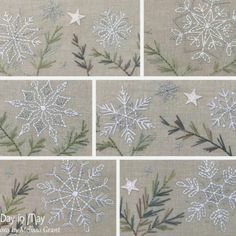 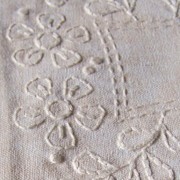 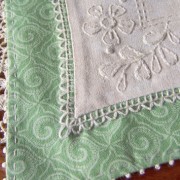 The applique is then edged in more embroidery to complete the doily design. 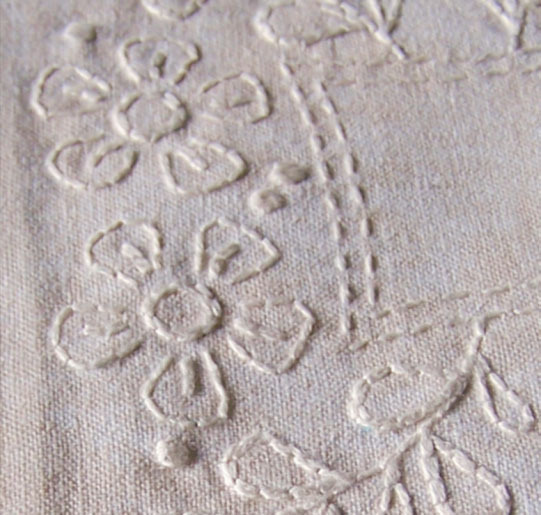 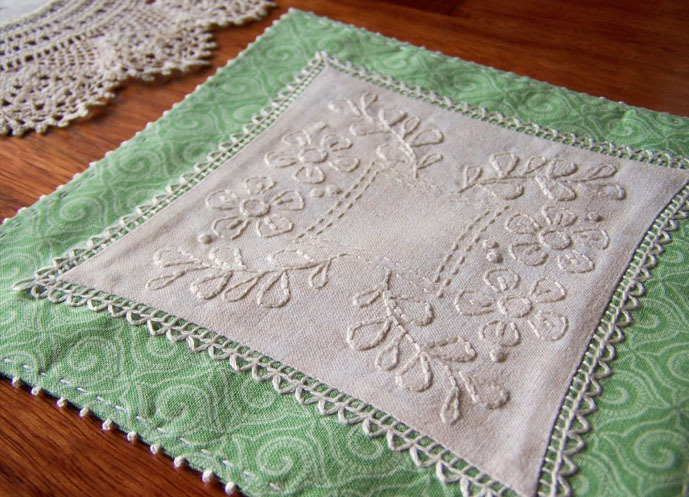 The doily “top” is machine sewn to the back and edged with delicate French Knots to finish. 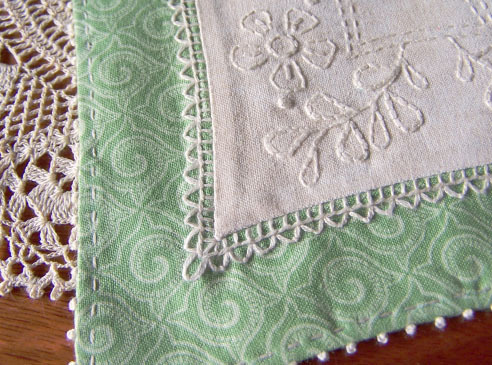 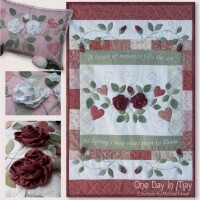 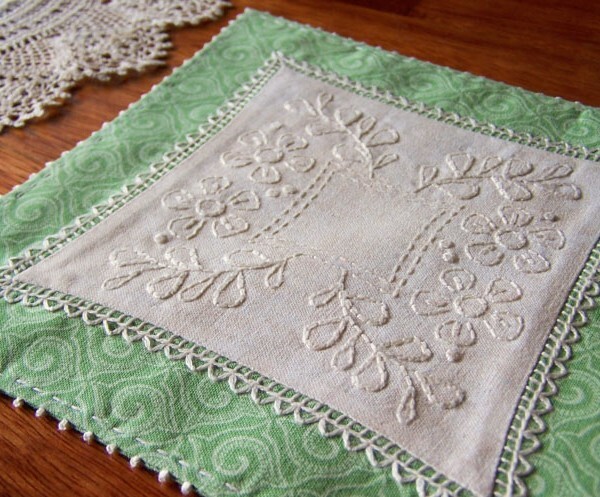 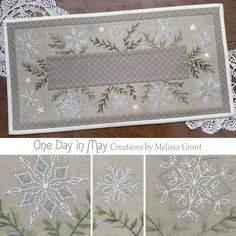 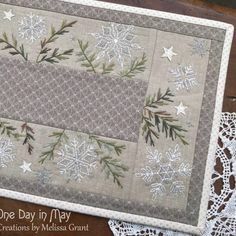 “A Doily for Bessie” is a sweet design using just 2 fabrics and ecru thread. 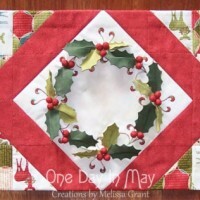 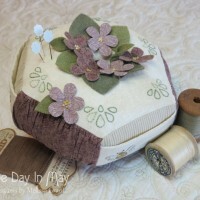 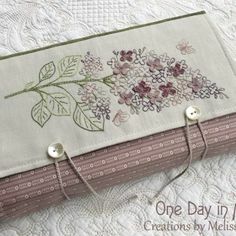 This small project (approx 7 3/4″ / 20cm across) makes a lovely gift or pretty addition to your home.